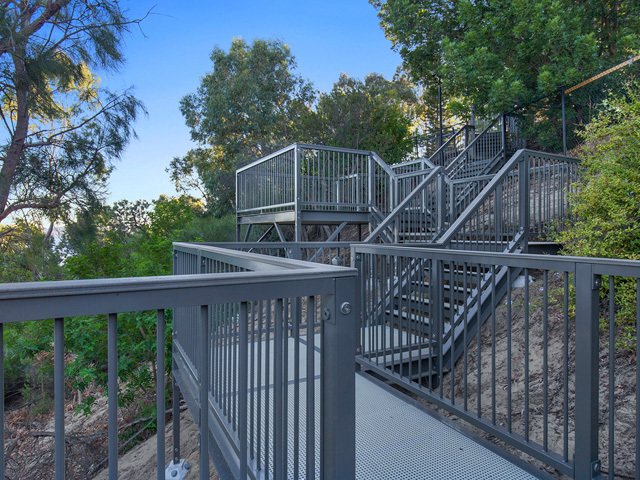 For exercise enthusiasts in the up-market Perth suburb of Applecross, an impressive new set of modular stairs installed by Landmark Products at Heathcote Reserve are a welcome challenge. 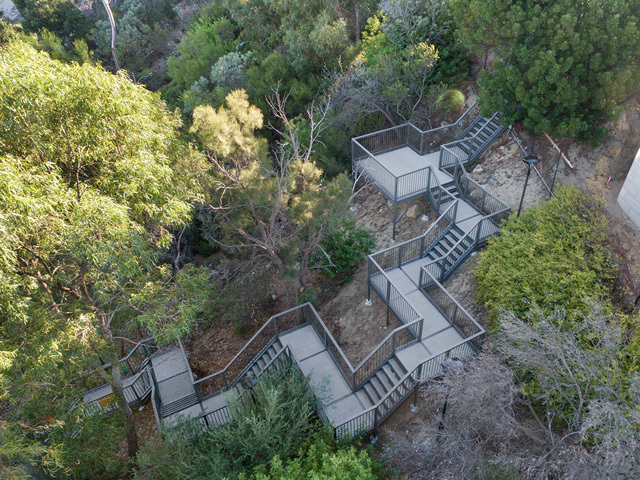 The City of Melville identified the need to replace the 20-year-old timber steps leading into Heathcote Reserve during a 2015 audit. In 2017, Landmark Products won the tender to replace the stairs, offering a quality consultation with a full design and manufacture proposal. 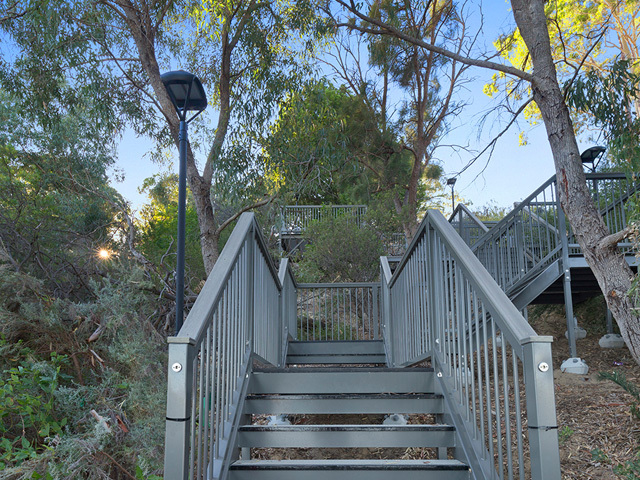 The new stairs, which connect the Swan River foreshore to Heathcote Reserve, represent a significant achievement in planning and execution by Landmark and the City of Melville. 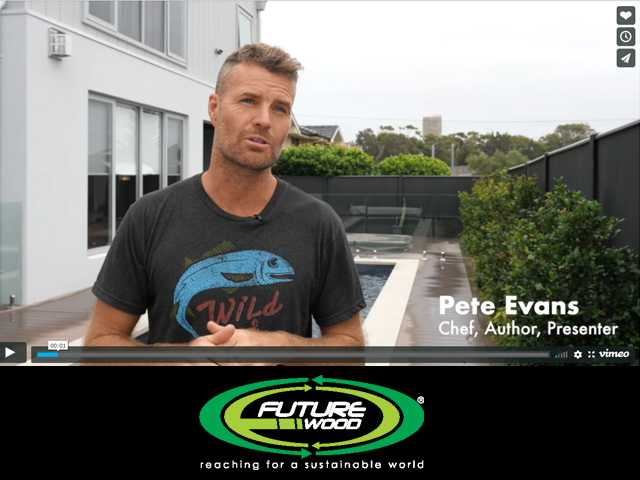 Wider than the previous ageing timber version, joggers can now scale the new 11.5-metre-high landscape structure with greater confidence. One of the more challenging requirements of the project was the demolition of the previous steps and fitting the replacement structure within the existing footprint. 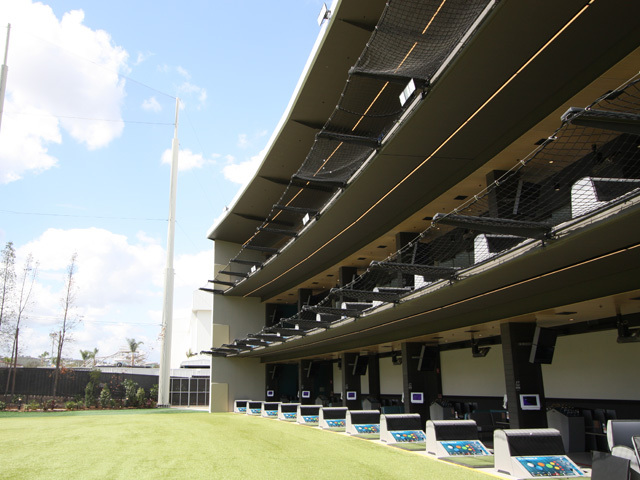 The materials used were carefully chosen to fit the project requirements. Sitting just metres from the Swan River, the predominately aluminium structure will require no maintenance and boasts a 100-year lifecycle. 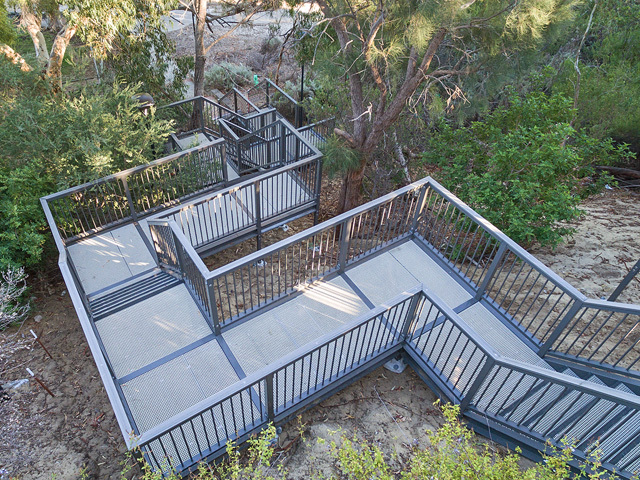 The construction included ModWood cap-rails and aluminium balustrades throughout, and a 3 x 3.5m lookout platform toward the top, offering great views of the city and Swan River. 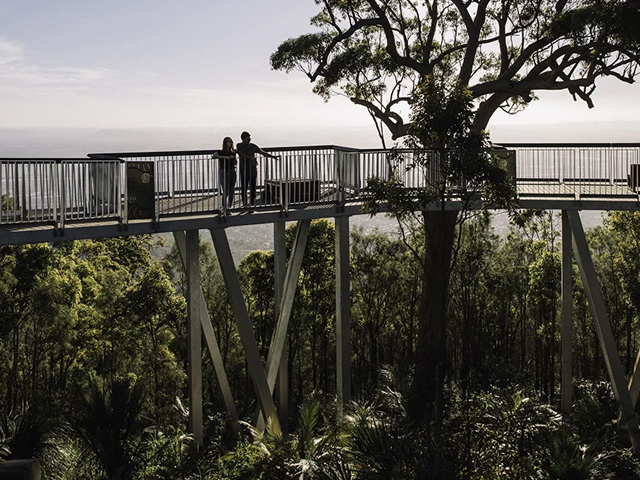 The risers and lookout platform, are made from FRP (fibre reinforced plastic), which are impervious to decay, fire resistant, non-slip, and stronger than aluminium and steel of an equivalent weight and shape. 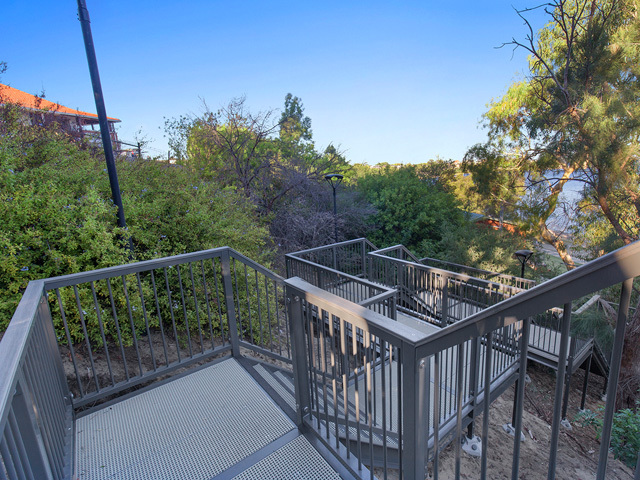 Importantly for residents who live nearby, FRP does not reverberate, ensuring little or no noise from the fitness community’s significant use of the stairs in the early and late hours of the day. 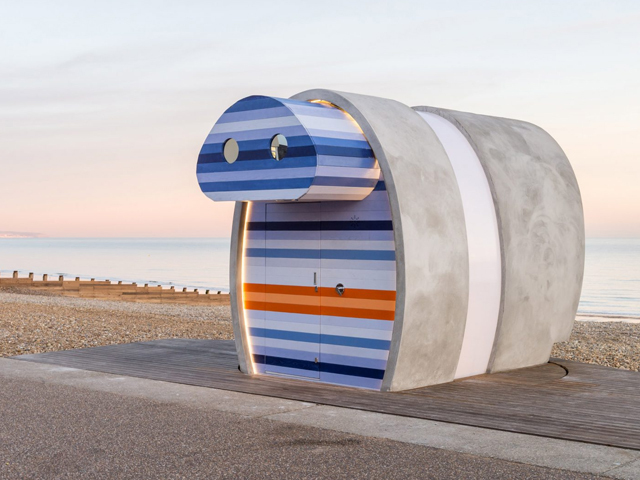 Minimal site disruption and construction clamour were achieved on the project, as the diamond piers and pre-constituted concrete footings required no onsite concreting or heavy equipment. Landmark Products also assisted the City of Melville with relevant compliance, including the Swan River Trust Permits, Building Surveyor Certificate of Design, Access Consultants Assessment and building permits. 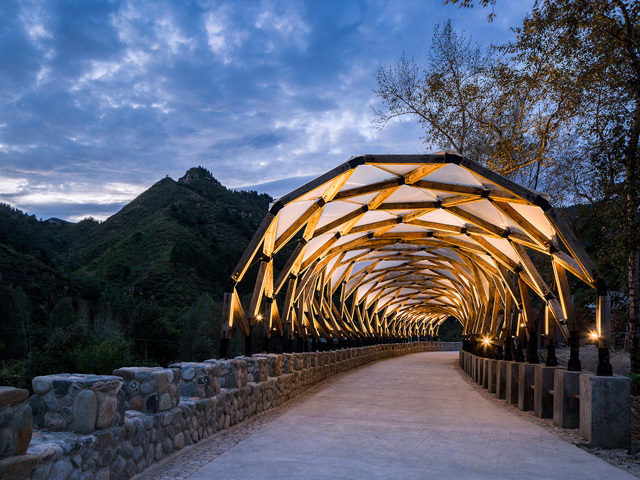 With over 25 years of experience in the manufacture and installation of park shelters, restrooms, pedestrian bridges, and boardwalk structures engineered specifically for public use, Landmark Products set the benchmark for quality and innovation. 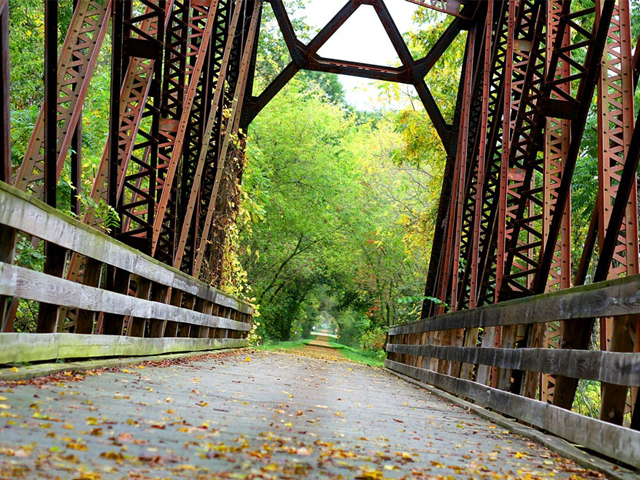 Contact Landmark Products today to find out how they can help you with your next open space project.